OUR WEDDING WAS TRULY MAGICAL AND THE FRIENDS WHO PROFILED US GOT VERY DRUNK AS THEY DID A SHOT EVERY TIME THEY WERE MENTIONED IN THE SPEECH! One of the best parts of doing what we do is hearing from people who have met through the site and are now living happily ever after. Online success stories definitely do happen, and you have every reason to believe that the next one could be you! We recently heard from Simon and Thea who met on mysinglefriend back in 2011 and are now married with two gorgeous children. “Before MSF we had both used another dating website and were of the opinion that online dating was for geeks, loners or slime balls. Neither of us shine socially so the idea of a friend highlighting our assets was really appealing. At the time online dating was in its infancy but also a feasible option for both of us as our social circles were highly limited. We were glad to be able to read true profiles of potential suitors. “Our first date was in Ely. Simon arrived over an hour early (he always arrives with time to spare even 9 years later! ), and had spilt hot chocolate down his shirt before he met me! Prezzo was full, and I had a stinking cold (again, this is true to form!). We went to Pizza Express and the rest is history! Simon proposed 16 months later and we married in December 2012. We commuted to see one another throughout our dating and engagement so had living together to look forward to. Our wedding was on a sunny winter’s day in North Oxfordshire, at the Tythe Barn (Bicester). It was truly magical, and the friends who profiled us got very drunk as they drank a shot every time they were mentioned in a speech! Our honeymoon was in NE Slovenia - a chalet in the mountains - where we achieved driving on the right, navigating to attractions that were in seasonal shutdown, and reflecting on our next steps. “We have been through two house moves, a major house renovation project, a Masters degree and bringing two wonderful children into the world. We wouldn’t change a thing. Our ups and downs are a part of the rich tapestry of our life together, and may the weaving continue making memories together! Huge congratulations to you both from everyone here at MSF! Would you like to become part of a mysinglefriend.com success story? Join now and find someone wonderful. 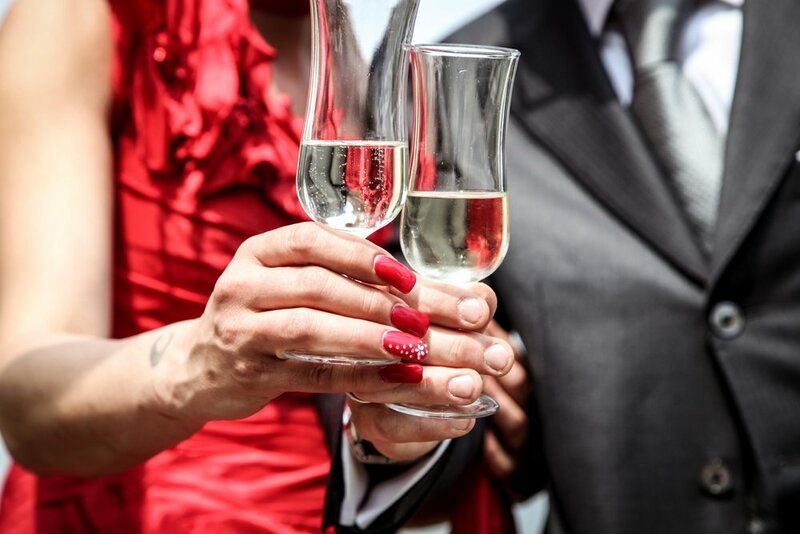 We're very pleased to introduce you to our latest success story, Tara and Mark! 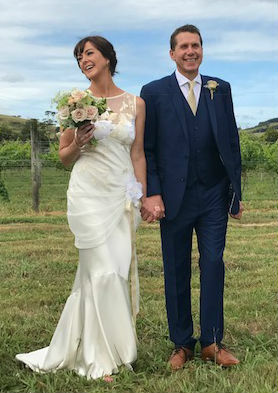 This fabulous pair got in touch to let us know all about how they met on mysinglefriend, a story that involves everything from a beautiful wedding in New Zealand to lawnmowers! "I was very pragmatic about starting online dating. My son was 3 years old and we had not long been in the UK when I went online. I am a very social, outgoing person but circumstances prevented me from meeting potential partners the way I had previously - at work, through sport and via my three New Zealand-based brothers. Online dating was for me a way of striking up conversations from my living room. In my eyes it was just a matter of getting on with it. "Mark postponed our first two dates, the first for a work dinner, the second due to illness. I told him ‘three strikes and you’re out’, which would have been a pity as he made me laugh. We ended up meeting on a week where Mark was Mr Thursday and I also had dates with a Mr Tuesday and a Mr Friday. We joked at the wedding that Mark became Mr Sunday Lunch and he’s now Mr Everyday. "Our wedding was on a Vineyard in New Zealand near where I grew up, 8 years after we met (having both been married before we didn’t rush). My son gave me away to the man that had proved his love and commitment to us. "As to our plans for the future….continuing to support each other in our endeavours and help ‘our’ son get through his fast approaching teenage years. We’re a sporty family with Mark being an avid golfer, myself competing dressage at a National level, hoping soon to be International and our son being good at almost everything at which he turns his hand. We both run our own businesses and Mark would like to sell his soon and stop. When I met him he’d moved to a flat due to his divorce and on our first date he said he never wanted to own a lawnmower again. It nearly put me off as I had plans for land in my future. Now we live on 15 acres and Mark’s got a tractor, ride-on and three heavy-duty lawnmowers. He says he’d just like to stop work and play with the machinery all day. Proof that you never know where MSF will take you!" Proof, indeed! Many congratulations and best wishes for the future to Tara and Mark from all of us here at MSF! If you're still on the lookout for your perfect person, sign up to mysinglefriend.com now and get searching! We'd like to wish a huge congratulations to our latest success story, the wonderful Andy and Liz! The happy couple got in touch recently to let us know about their new relationship. As well as making us feel good, success stories go to show that mysinglefriend.com really works. We've always been proud of our community of singles and their friends, and we want to shout it from the rooftops when one of our highly valued bunch of members meets someone special. We'll be featuring future success stories on our brand new blog, so if you are part of a happy MSF couple, or you know someone who is, please get in touch and let us know all about it! Apart from being a wonderful celebration of a budding new (or even old - we often hear from couples who have been together for years) relationship, reading about other people's transformation from hopeful single to happily loved up other half is a wonderful morale booster for everyone else on the site! Drop us a line atblog@mysinglefriend.com if you'd like to share your story.